The artist behind this is no mystery. Credit to Jarrod Alberich, aka @yardsaleartist on Twitter.com. Awesome! Scooby G'nort! 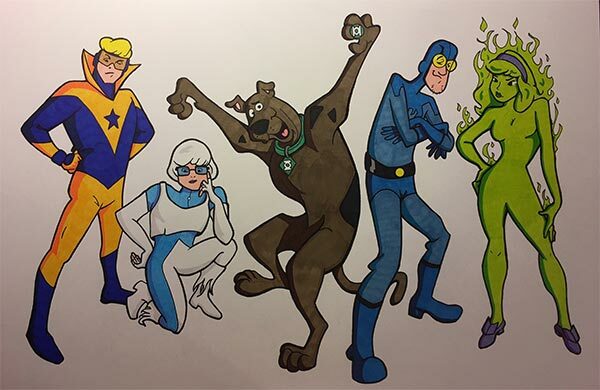 A better JLI Scooby Gang is impossible! If Booster Gold had ten costumes and Doomsday destroyed five of them, how many costumes remain? Scooby-doo teamed up with Superman and a Booster Gold appearance! My Kid is going to have extremely high expectations of comics from this point on. Let this be a lesson to all of us. Keep your eyes pealed, because you never know where you might find a little bit of Gold! 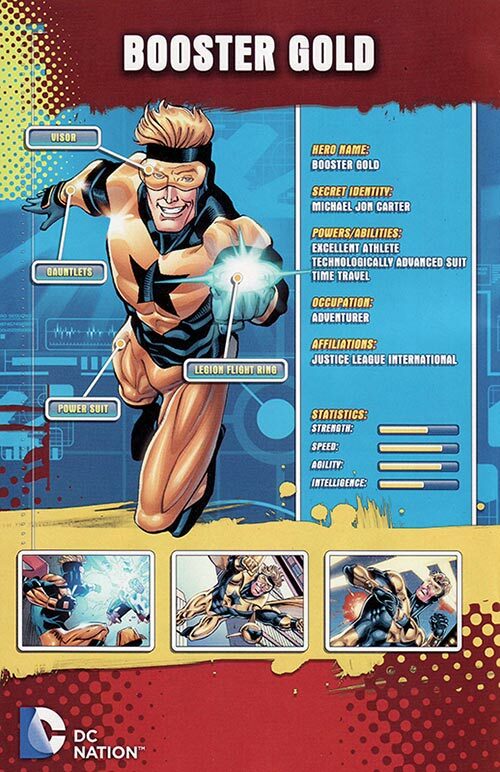 The big profile is the cover of BOOSTER GOLD #40, and the pic on the bottom left is from the same issue. Pic on the bottom right is from issue #44. And if I recall correctly, the pic in the bottom middle comes from the online "origin" that DC had on its previous website. They were all probably just pieces whoever assembled this had easy access to. If Booster Gold stole two super powers and then stole seven more, how many super powers has he taken in all? If there were seven villains, and Booster Gold defeated six of them, how many villains remain?